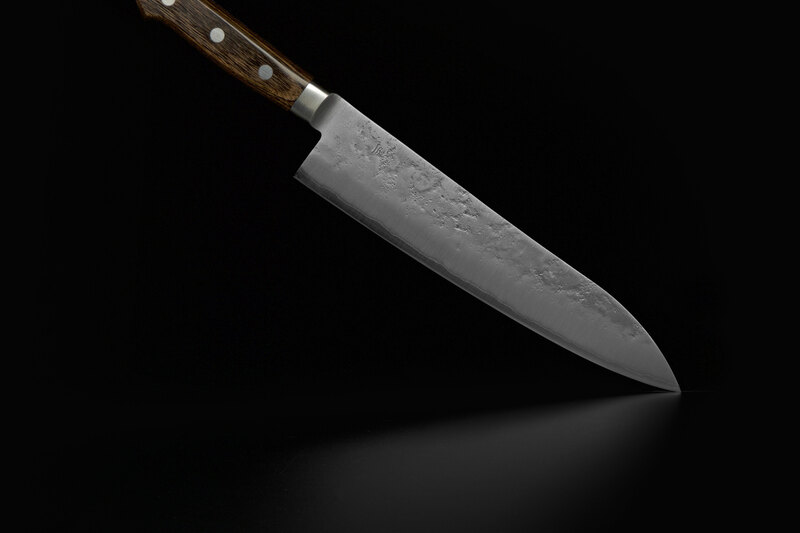 The use of Ginsan steel brings an essential innovation to blacksmithing of knives by combining the qualities of high-end steels with the resistivity of stainless steels. Ginsan is sharp like Shirogami steel and yet stout like the stainless steels used for knife surfaces. You will love this composition. Core: Ginsan steel, hardened to HRC61. Blade: A forged closed bolster seals the blade from the handle. Handle: The handle is made out of Pakka wood, a material that is highly resistant against dirt and water. Triple riveted tang.